Investing.com – Asian stocks extended their losses in morning trade on Friday, tracking losses seen on Wall Street as trade tensions between the U.S. and China continuing to weigh on investor sentiment. Overnight, the S&P 500 Index slipped 0.6% and the Dow fell 0.8%. The European slapped penalties on multiple American products that worth around $3.2 billion on Friday, including bourbon, motorcycles and orange juice as retaliatory measures against Trump administration’s tariffs. The move added another front to a trade war that triggered a sell-off in global equities since the beginning of the week. On Monday, U.S. President Donald Trump ordered the U.S. Trade Representative to identify $200 billion worth of China goods for additional tariffs. China and Mexico have already retaliated with their own tariffs, while Canada, Japan and Turkey are preparing similar measures, according to reports. 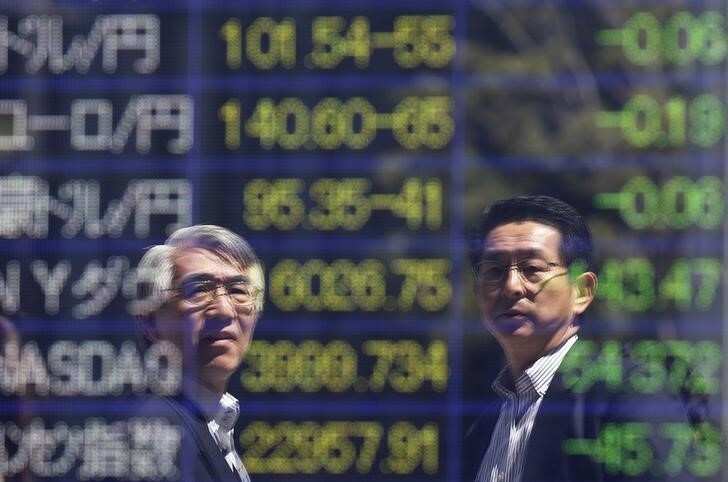 In Asia, the Nikkei 225 traded 0.8% lower by 10:10PM ET (02:20 GMT) after data on Friday showed the country’s export orders contracted for the first time in almost two years. Meanwhile, the Markit/Nikkei Japan Manufacturing Purchasing Managers Index (PMI) rose to a seasonally adjusted 53.1 in June from 52.8 in May. China’s Shanghai Composite and the Shenzhen Component were both down 0.4%. Hong Kong’s Hang Seng Index slipped 0.5%. On Thursday, China’s commerce ministry spokesman Gao Feng accused the U.S. for being temperamental over bilateral trade issues, and that the U.S. government is being too unpredictable. “Beijing has had to respond in a strong way,” Gao said, adding that U.S. unilateralism would ultimately damage the interest of its own workers and farmers as China is “fully prepared” to respond to any new list of U.S. tariffs. Down under, Australia’s S&P/ASX 200 climbed 0.1% in morning trade.